Top Notch Heating & Air provides new AC installation in Pittsburgh, PA and surrounding suburbs and counties. With so many brands, styles, and sizes to choose from, purchasing a new air conditioner can be a little overwhelming. The average homeowner has no idea where to start. That’s where we come in. We’ve provided expert Pittsburgh air conditioner installation to this region for over 20 years. 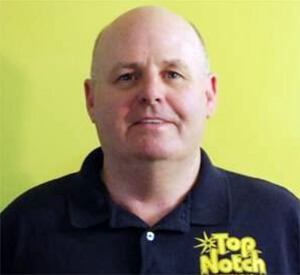 Top Notch has helped many homeowners select the right air conditioning system for their home and family’s needs. Our professional, hassle-free, and neat installation services have won rave reviews. As have our AC maintenance plans and response-times for as-needed emergency AC repairs. Replacing an air conditioning unit is most often an unexpected expense. Your available budget obviously plays a huge role in what kind of make/model you select. To make things easier, we accept all major credit cards and have other available financing options; however, most importantly, we help you choose the right AC system for your situation and budget. Here are five reasons to let us help you select and install a new air conditioning unit. Any energy-efficient expert will tell you that it’s especially critical to properly size HVAC equipment for the space it will be used. For instance, if you live in a small town, it would be pretty wasteful to buy an 18-wheeler to drive around, right? A vehicle of that size, for that particular use, will cost you more money to operate and maintain. Comparatively, when you buy an over-sized air conditioning unit, you’re not only needlessly overpaying, but you’re also wasting energy, which results in a higher utility bill. Additionally, comfort within your home can be compromised. An over-sized air conditioner won’t properly dehumidify your home resulting in a cold, clammy feeling and the potential for moisture problems like mold growth or a mildew-type smell. To avoid this issue, our AC contractors visit your home, assess your situation, take measurements, collect all necessary information, and recommend a specifically-sized air conditioner for your space. The proper size of your new air conditioner will be determined using the “Manual J” Load Calculation Report, which is an industry standard. Any new air conditioner manufactured since 2010 will be using a more environmentally-friendly refrigerant and be more energy efficient than older models. Therefore, when you buy a new AC unit, you can rest assured that you’re not only improving your home’s comfortability, and keeping your utility bill low, but you’re also being kind to the environment. We help you choose an air conditioning unit that cools your home in the most energy-efficient way. When Top Notch installs a new air conditioning unit, you’re not only getting the manufacturer’s warranty, but you’re also getting our guarantee of proper air conditioner installation. Most new air conditioning units have an average life expectancy of 10-15 years. The only way to ensure such a lifespan, while also reducing the likelihood of expensive repairs or higher energy bills from a poorly functioning unit, is routine AC maintenance. The technicians at Top Notch stay current with all the latest technology, equipment, and reported issues with particular makes/models. We have a variety of annual maintenance plans that will keep any new air conditioner we install running like new for years to come. NEED PITTSBURGH AIR CONDITIONER INSTALLATION? If you’re looking for new AC installation in Pittsburgh, call TopNotch today at 412-381-0598 for a free estimate. We install new air conditioning units in Allegheny County, Armstrong County, Beaver County, Butler County, Fayette County, Greene County, Somerset County, Washington County, and Westmoreland County.